UCD Boat Club is at Blessington Lakes. UCD Boat Club shared a post. Dr.Michael Cleary - UCDBC & OCBC. It is with great sadness that we pass on the news of the passing of OC Dr.Michael Cleary in Arizona USA. Mick was St.Patrick's Blue and Saffron to the core and he remained a proud OC and loyal supporter of UCD Boat Club since his College rowing days in the '40s and '50s. It was great that Mick and his family travelled in his 92nd year to celebrate the UCDBC Centenary in 2017. He will be missed and remembered. A good man and loyal OC. 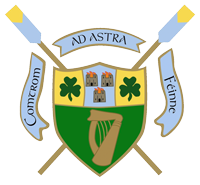 UCD Boat Club updated their profile picture.